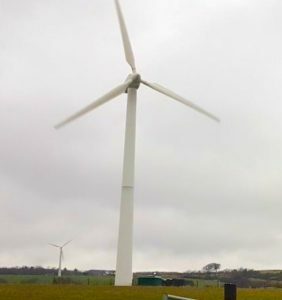 As we complete the purchase of the Hownsgill wind turbine, bought with the proceeds of our 2018 bond offer, we are launching another offer to buy the nearby High Knitsley turbine. This will bring our fleet to 5 turbines – all of which are 100% owned by The Small Wind Co-op’s members and generate low-carbon electricity in Wales, England and Scotland. There are 200,000 bonds on offer of which over 150,000 have already been pre-registered. For all the details see our How to apply page.